After four years Rob Zombie returns to the world of music with Hellbilly Deluxe 2: Noble Jackals, Penny Dreadfuls and the Systematic Dehumanization of Cool. A companion to his debut solo album, Hellbilly Deluxe: 13 Tales Of Cadaverous Cavorting Inside The Spookshow International, Hellbilly Deluxe 2 was billed as a return to the more industrial style heard in the first two Zombie solo albums. This is not true. The album has the same sound as Educated Horses, but this isn’t necessarily a bad thing. 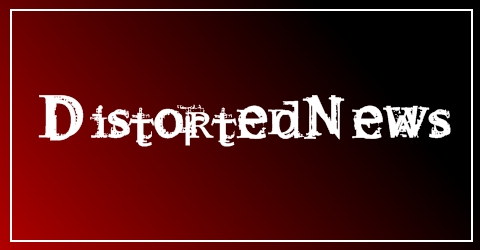 Zombie said prior to this albums release that this was the first album since White Zombie where he felt like he was part of a band, this really shows in the music as the band has pulled together, keeping the same sound they started on Horses but moving it forward. It may not be the masterpiece that was Hellbilly Deluxe, but it actually sounds like a real band making a great album. The opening track Jesus Frankenstein has more in common with (Rob Zombie’s first band) White Zombie than any previous solo album, with the lyrical patterns being reminiscent of tracks like Black Sunshine and Thunder Kiss ’65. The first single, What? is just fantastic, and second single Sick Bubblegum is also great, ensuring that Rob will still be heard on rock radio stations for a while to come. The track Burn, is the highlight of the album. It is a proper, straight up rock song, showing that the band are capable of writing brilliant songs, its a pity that Rob has said this will be his last album, because many of the tracks on this album show that there is definitely a future for Rob Zombie, and that Educated Horses was nothing but a blip. There are however some not so good tracks on the album, Cease To Exist is just boring as is Mars Needs Women and Virgin Witch, but of all the tracks The Man Who Laughs is the worst. It is a horrible song, and (no offence to any drummers here) what must have possessed them to put a drum solo on a studio album, i could have accepted it if it was a few seconds long, but this is over 4 minutes… it’s just not needed and gives nothing to the album. As a whole this is a good album, a very good one, but the fans need to stop comparing it to Hellbilly Deluxe and The Sinister Urge, because it is a different band now, who play different music, the fans need to accept that and hear this album for what it is. a great hard rock album. Highlights: Jesus Frankenstein, Sick Bubblegum, What?, Burn, Werewolf Baby! 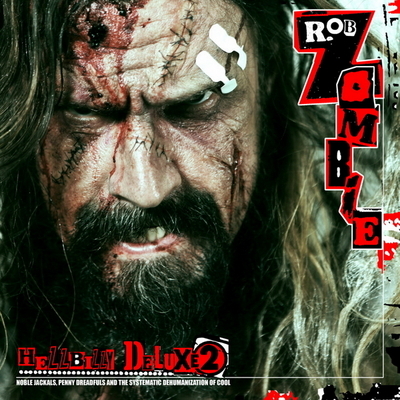 Rob Zombie’s forthcoming release “Hellbilly Deluxe 2: Noble Jackals, Penny Dreadfuls and the Systematic Dehumanization of Cool” has been pushed back from its November release to sometime in 2010. Bad news for Zombie fans, I was looking forward to this.